INTOWN WAKEFIELD - DEBUT! Great Intown Split Level on cul-de-sac. Walk to all amenities, schools, shopping, restaurants, library. 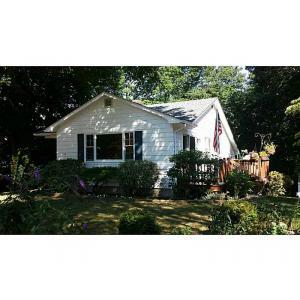 3BR, 2BT, hardwoods, attic storage, ceiling fans, deck. Multilevel w/1/2 ac yard. Walkout recrm/family room to patio. Portions Copyright © 2019 Ernest Esposito. Portions Copyright © 2001-2019 iMaxWebSolutions.com.